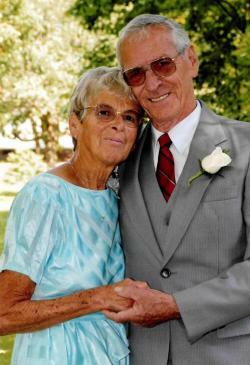 The passing of Conrad Lewis Wright, husband of the late Leslie Jane (Gillmor) Wright of Pocologan NB occurred at Bobby's Hospice, Saint John NB on March 30, 2019. Born in Beaver Harbour NB on November 5, 1934, he was a son of the late Fenwick and Lulu (Scott) Wright. A loving father, grandfather and great-grandfather, Conrad is survived by his children: Derek Wright, Lori Leavitt, Christopher Wright (Barbara), Marshella Deveau (Earl) and Adam Wright (Stephany); 12 grandchildren; 14 great-grandchildren; several nieces, nephews and cousins. In addition to his parents and wife, Conrad was predeceased by his brothers: Wallace, Phillip, Carroll and Morton; and sisters: Gertrude, Arletta, Averil, Maxine, Norma and Brenda. Conrad was the last surviving member of his immediate family. 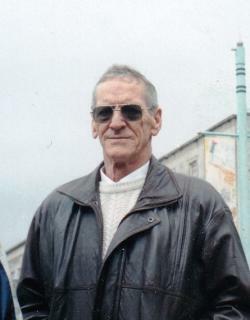 Prior to retirement, Conrad worked in various careers, including Bus Driver and Fisherman. He was a veteran having served with the Royal Canadian Navy from 1951-1954 and was enlisted overseas in Korea. He loved animals and could often be found feeding the local wildlife. He enjoyed being outdoors, doing his own landscaping and lawn care and just keeping busy outside. He looked forward to BBQing for his family and friends and he will be truly missed by all who knew him. Arrangements in the care of the St. George Funeral Home (755-3533) 26 Portage Street, St. George NB. As keeping with Conrad's request, there will be no visitation or service. In lieu of flowers, donations to the Charlotte County Cancer Society would be greatly appreciated by the family.